Long Island City Dog Walk strongly believes that all dogs need unique attention during the day. Have the confidence knowing that your dog is being cared for on a personal level and not being treated as just one more in a pack of dogs. We cater our private care to the unique needs of you and your buddy. Wonder what your dog is doing while you are away from home? Your walker will send you a detailed journal update after each visit. Updates include time and duration of walk, potty duties, extra notes and photos! Clients love our easy to use portal to schedule visits and pay online. LIC Dog Walk is active on Instagram, Facebook and Twitter, so you can share your dog's daily adventures with friends & family! 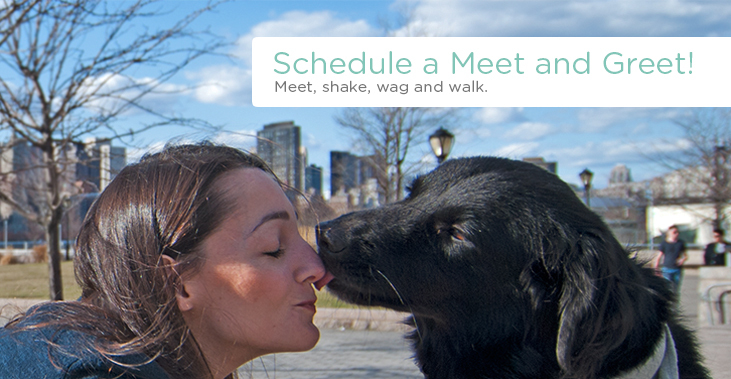 Long Island City Dog Walk will always do its best to satisfy your dog's needs. If you have any special requests, please do not hesitate to ask! Copyright © 2013 Long Island City Dog Walk, LLC. Powered by Squarespace.